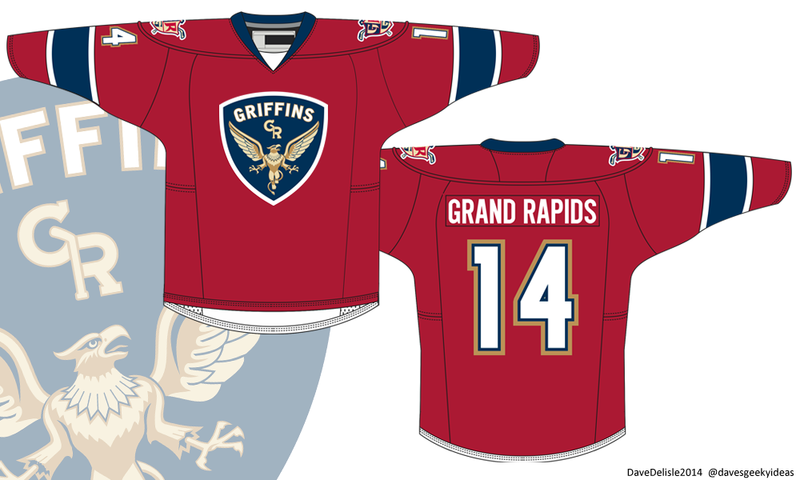 The AHL’s Grand Rapids Griffins brought back their annual “design an alternate jersey” competition after a 3-year hiatus, and I thought I’d take another crack at it (having tried in 2009 and 2011). Problem was, I learned of the contest with about 2 hours left before the deadline hit (last night at 12PM EST, 9PM for me), so I was scrambling like a madman. That’s right, I literally had no time to add a waist stripe, let alone play with different layouts and colors. When I had to quit drawing, it was like the agonizing “pencils down!” moment at the end of a final exam. Thanks to Hockey Jerseys Concepts and the Griffins for bringing back this contest, they’re always a blast. Posted on September 1, 2014, in Hockey Jersey Design, NHL and tagged AHL, Design Contest, Grand Rapids Griffins, Hockey Jersey Design. Bookmark the permalink. Leave a comment.